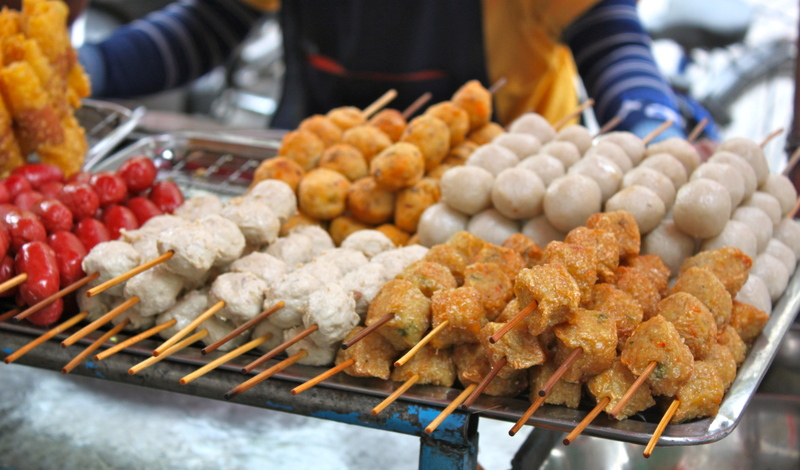 Just a glimpse of the beautiful street food available in Bangkok. You don’t even need to set foot in a restaurant to get a sense of the spectrum of Thai cuisine. Yum! That looks amazing. Did you find that street food is more affordable than restaurants? Street food is definitely affordable. Although there are many affordable restaurants as well. If you are on a tight budget street food is the way to go to try several different things. Also handy when you are short on time. Thanks for the advice! I’ll definitely bear it in mind! Any other tips for budget travelling? A good budget souvenir to bring back are pictures from your travels that you can print out when you return home. Look for breakfast to be included in hotels. Get on a hotel rewards program so you can earn points for free nights. Remember to account for time in your budget. So walking to a museum can be nice to see the city where you are and save $ on transportation but if you are short on time sometimes it’s better to spring for the cab/bus so you have more time at your destination. Look ahead to see if there are free days at museums and sights. Hope that helps.